While there is no high definition content to purchase from the iTunes Music Store yet, there are HD video podcasts that can be downloaded and viewed on various devices including PCs, video iPods, XBox 360, and the AppleTV. These, no doubt, are showing us what the future of downloadable HD content looks like. 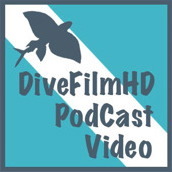 DiveFilm is a website dedicated to showcasing and creating underwater digital video for the Internet. The site, which began streaming videos in 2000, focuses on underwater short films from filmmakers around the world. Episode 3, “The Realm of Sharks”, was filmed by Shawn Heinrichs in Cocos (Costa Rica) and Malpelo Islands (Columbia). During the 6:33 film, we see pilot whales, silky schools, silver tips, hammerhead schools, manta rays, ruby lipped bat fish (my favorite), a white-tip shark frenzy, and marble rays. Heinrichs provides no commentary, letting the underwater life — in all its brilliance and color — tell the story. Jacques-Yves Cousteau would be proud. The filming style for Episode 7, “Micronesia”, is similar but visually even more spectacular. Filmmaker J.D. Duff caught on “film” a sea of jelly fish, sea turtles, and all sorts of other underwater life in Micronesia, a range of islands in the Pacific Ocean. 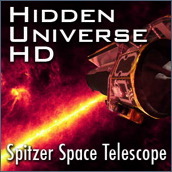 “Hidden Universe” is an video podcast highlighting some of the discoveries from NASA’s Spitzer Space Telescope (website, Wikipedia). The images from outer space, as seen in high definition, are spectacular and mesmerizing. What I liked about “Hidden Universe” is that the filmmakers again let the images tell the story, although they provided captions that let viewers know what they were seeing. 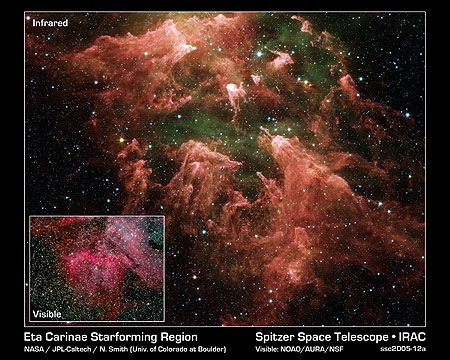 In “Eta Carinae”, there are stars forming in the region of Carina Nebula, which is about 10,000 light years from Earth. The region stretches 200 light years across space — in glorious HD. 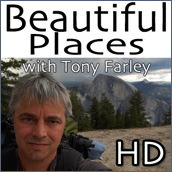 Host Tony Farley is a high school teacher in San Leandro, Calif., who happens to be an avid hiker and mountaineer. He loves to climb high mountains and visit beautiful places such as Redwood National Park, the Golden Gate Bridge, and Yosemite Falls. Farley carries an HD camera with him and documents for viewers the breathtaking places he visits (website). I like the fact that he mixes in just the right amount of commentary with utter silence as he pans the gorgeous scenery around him. One of these days, I’m going to the North Dome. As a side note, Farley is a true amateur content creator and is self-funded. Viewer support is important to keep “Beautiful Places” on the air. 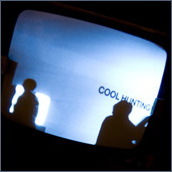 The “Cool Hunting video podcast” is categorized as “design” by the iTMS. The blog is a daily update on ideas and products in the intersection of art, design, culture, and technology, and it features weekly videos of artists, musicians, designers and other innovators for an inside look at inspiration and process. In the two-part show, “To Catch a Web,” Cool Hunting tags along with Emil “Rocky” Fiore as he captures spiderwebs and mounts them on glass. The first episode documents his process using spray paint and varnish on a pier along New York’s Hudson River. In the second episode Fiore ventures into the forest to capture smaller spiderwebs. Fiore’s work can be seen at his website, Whirled Wide Webs. 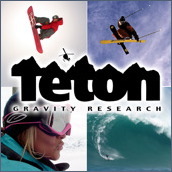 “TRGtv” is produced by Teton Gravity Research, an action sports and entertainment production house formed in 1996. TRG uses outtakes and short clips from its extensive filming for TRGtv, which obviously is used to introduce and showcase its work to a larger audience. While TRG has a stable of producers, directors, and cinematographers — not to mention a helicopter — it’s high definition footage makes the skiing of Ian McIntosh, Doug Coombs, and Marc-Andre seem even more insane. Video of the week: "the show with zefrank"
Hey, thanks for watching my show Beautiful Places and saying such great things about it. I spend a lot of time and a lot of effort (lugging an HVX200 up mountains is not easy) creating this podcast and hearing such great things makes it all worth it.